That was the headline on the newspaper the next morning, along with pictures of unimaginable horror. In 2001, I was the Operations Assistant for a company that provided mobile television trucks, mostly for sporting events, but for other remote shoots. Our crews were scattered all over the country. We had people in NYC at the time and one was scheduled to be at the World Trade Center either to pick up or drop off some equipment. I was in my office prepping my schedule for my daily calls and paperwork when the company secretary leaned in my doorway. Now, television folk are prone to gossip. Accuracy of information isn’t quite their forte. They tend to get overly excited and do a lot of tail chasing before time and the facts will reveal that the 747 was actually a cessna and it didn’t hit the World Trade Center, it only flew between the twin towers… and the pilot was drunk and is now in custody. Expecting this to be the case, I wasn’t in any hurry to get up and go see. It wasn’t until our tech guy came through and repeated the information that my curiosity was piqued. “We’ve got the TV on in the shop,” he said. I followed him back to the repair shop. There amid the electronics, gutted cameras, audio equipment, monitors and everything else a clever tech would need to frankenstein together a television studio, the TV cart was pulled out into the middle of the room and the senior staff of the company was gathered around intently watching. One burning tower and one intact tower filled the frame. 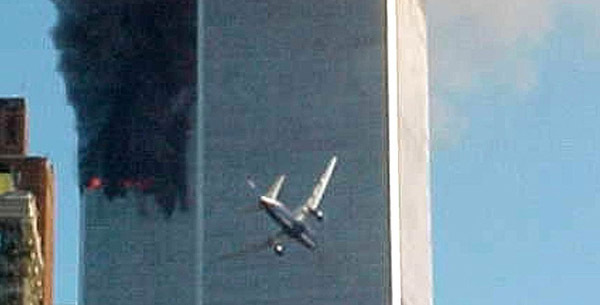 As I walked in, a jet slammed into the tower. The human in me was horrified. The television professional in me applauded the camera operator on getting the money shot. I thought it was a replay of events. How fortuitous for the camera operator to have his camera focused on those buildings at that time. “When did the plane hit?” I asked. “Just now,” Jim, my boss, said. My knees buckled. Next thing I know, the guys are helping me onto a stool. I looked up at Jim, a Vietnam vet. “We’re under attack,” I said. Jim nodded. 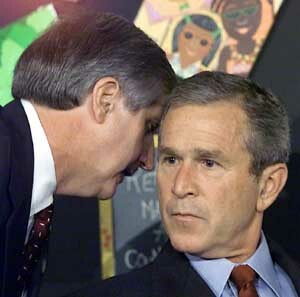 Jim explained that the jets were cross-country flights loaded with fuel for optimum devastation. In growing horror, I watched the situation grow more grim for the people trapped in those buildings. Lisa arrived, another stool was found and she and I gripped each other, keeping each other from toppling off the stools as we helplessly watched events unfold. People like us, whose only crime was going to work that day, struggled to survive an impossible situation. A third jet hit the Pentagon. Unable to stand it, I retreated to my office in tears and switched on the radio. Ignoring the company’s no cellphone during business hours policy, I called my brother, a Sea-Bee reservist serving his duty week. I just knew he was going to be deployed somewhere. The day wore on and the rumors flew. President Bush, just south of us in Sarasota was being rushed onto Air Force One and spirited away to parts unknown. The Secret Service launched their emergency protocols. The vice-president and speaker-of-the-house were also whisked away to separate locations. I went outside. Situated between two very busy airports, our office had a great view of all the jets usually taking off and landing. That day, there was NOTHING in the sky but birds. Nothing until the fighter jets screamed past overhead that is. Growing up in the shadow of MacDill AFB during the height of the Cold War, I found it comforting to see them in the sky overhead. We tried to go on that day and do our jobs, but our minds were on the events shaping the future of our nation. People with children left early. Those of us with no family stayed behind to go through the motions, numb with shock and fear. We accounted for all our crew, stranded in various cities, including New York, and everyone breathed a little easier. We handled calls canceling shows, baseball games, football games, and I made the calls to the freelancers telling them the bad news. Most of them expected it. The eeriest part of that day which will stick with me forever is the total absence of contrails and air traffic. Tampa International is a busy airport. That day, nothing moved overhead. I had never seen an empty sky over Tampa. I pray I never see one again. In the aftermath, we learned about the heroism of the civilian passengers of Flight 93 who sacrificed their own lives in a scarred field in Pennsylvania, the devastating loss of first first responders who valiantly kept going to try to save one more life, the office workers who carried a wheelchair bound co-worker down countless flights of stairs to safety. The worst of humanity brought out the best of humanity as in a crisis, the true colors of a people will show. If it seems I’ve neglected mentioning the Pentagon, it’s because that loss impacted my family most of all. The man who saved my husband’s military career and helped him turn his life around was killed in his office there. My husband keeps a picture of his tombstone on the wall of his classroom as a constant reminder and as a continuing memorial to all who lost their lives that awful day. Let us never forget them. I’m sorry for your husband’s loss. And when they finally called, we were all very relieved to know that they went to the twin towers the day before. I’ve always wished for people to be scared shitless for that same length of time(or less), only to find that whoever they thought was dead just couldn’t get through. Thank you, Max. I’m glad your family was uninjured. 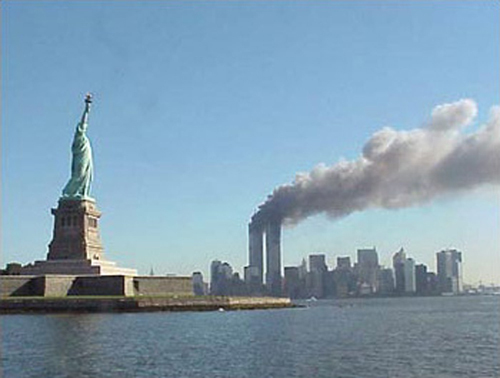 Hard to believe it happened eleven years ago…and it still seems surreal. Thank you for sharing your story, JC. I have no words, only heartache. Thank you for this post. Thank you all for commenting. The events are just as fresh to me today as they were eleven years ago even though my life is very different.